Knittimo on Ravelry has responded to the urgent need for Japanese relief charity fund donations by posting a free infinity cowl knitting pattern download. Her "Jeweled Cowl" is a marvel, beautifully knitted and beaded, using the crochet hook method. 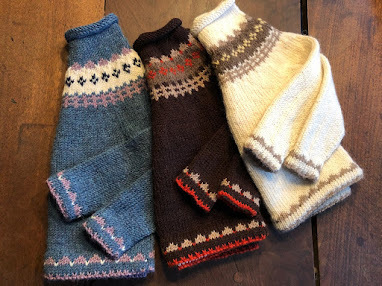 Sachiko Uemura is Japanese, from Tokyo, now living in Portland, Oregon, and asks that you make a donation to your choice of charity in return for the free cowl pattern. Here are Sachiko's suggestions for donating: Japanese Red Cross Society, American Red Cross , Mercy Corps. The cowl is knitted with a US size 8 needle, using one skein of Malabrigo lace yarn. Finished size is 14 in wide by 44 in long, knit entirely in the round. The gauge is approx. 4.5 sts / 7.5 rows = 1” in stockinette. Sachiko is not only a knitter, but also felts, makes jewelry, sews beautifully, and designs glass art. Have a look at her flickr photos. You will be astounded at the beauty and the aesthetic of her work. Her Ravelry knitting project list stands alone in perfection and presentation. If you're not a member of Ravelry, you really are missing out. It's a free membership with global participation in the arts of knitting, felting, and crocheting. 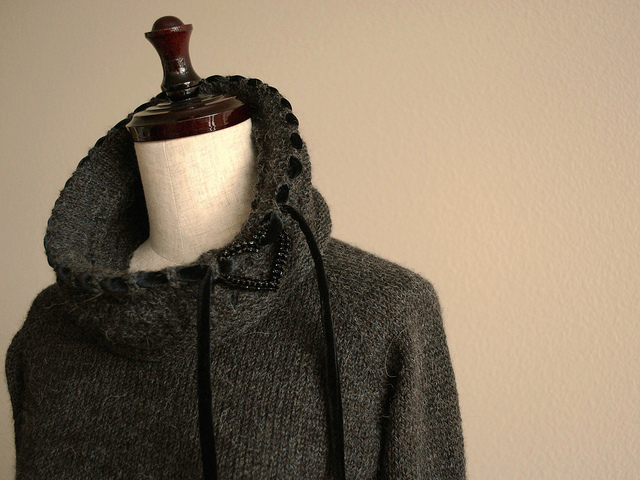 Knittimo's free cowl pattern, knitted and beaded is here on Ravelry. 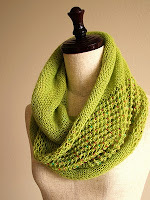 Other ways to keep knitting and donate to Japanese earthquake and tsunami relief funds. RomiDesigns Sakaki shawl pattern for Japanese earthquake relief. $5.00 of every pattern sold will go to Doctors without Borders. 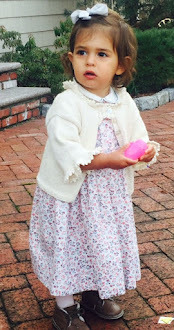 Romi has raised $16,500 so far for Haiti with her Brandywine Shawl pattern.